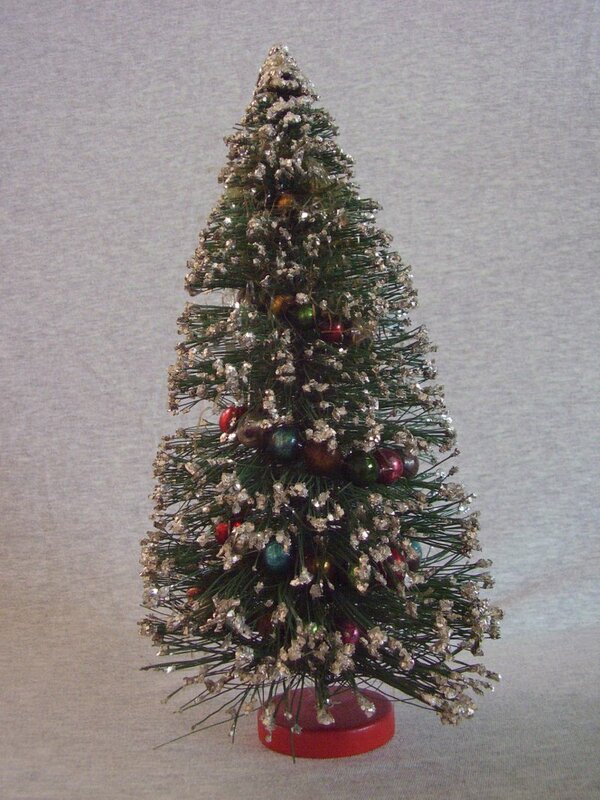 Vintage bottle brush Christmas tree with mercury glass bead garland. A wonderful 12 1/2 inches tall and 5 1/2 inches in diameter. Appears to be from the 1950 to 60s and probably made in Japan. 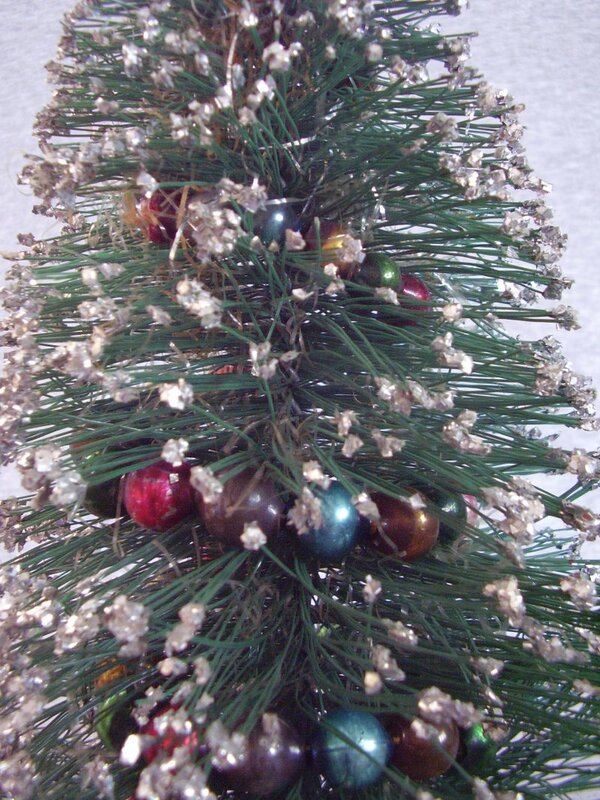 Tips of the branches are coated in silver mica glitter. In gently used condition. A few bent branches near the bottom which is normal for age. 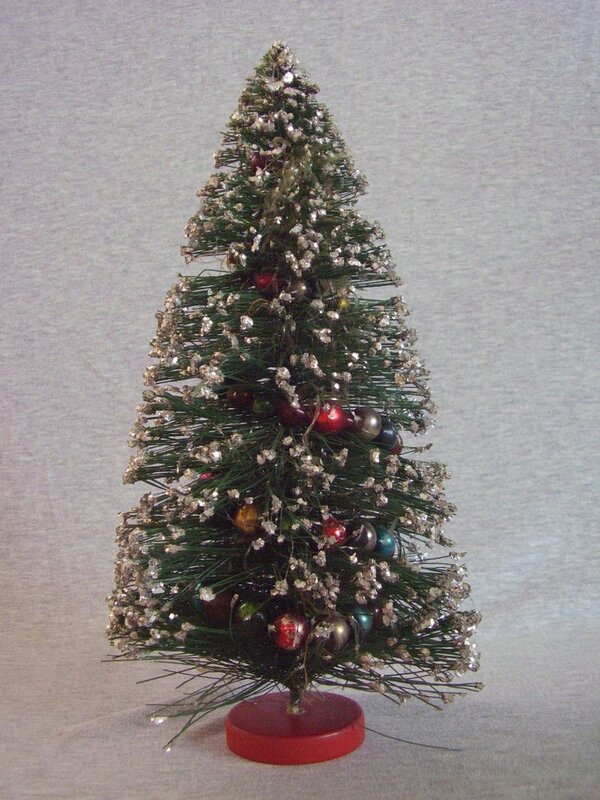 Vintage bottle brush Christmas tree with mercury glass bead garland. A wonderful 12 1/2 inches tall and 5 1/2 inches in diameter. Appears to be from the 1950 to 60s and probably made in Japan. 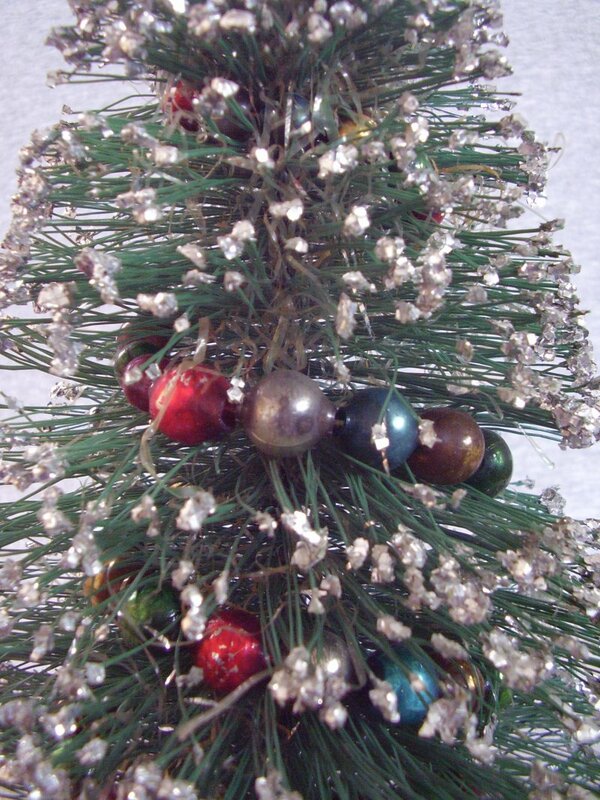 Tips of the branches are coated in silver mica glitter. In gently used condition. A few bent branches near the bottom which is normal for age. Mercury glass ornaments are silvered in places with some loss of paint, can't find any breaks in them. Secured to a wood base that is painted red. A Christmas collectors delight.